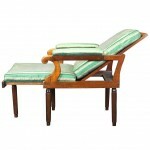 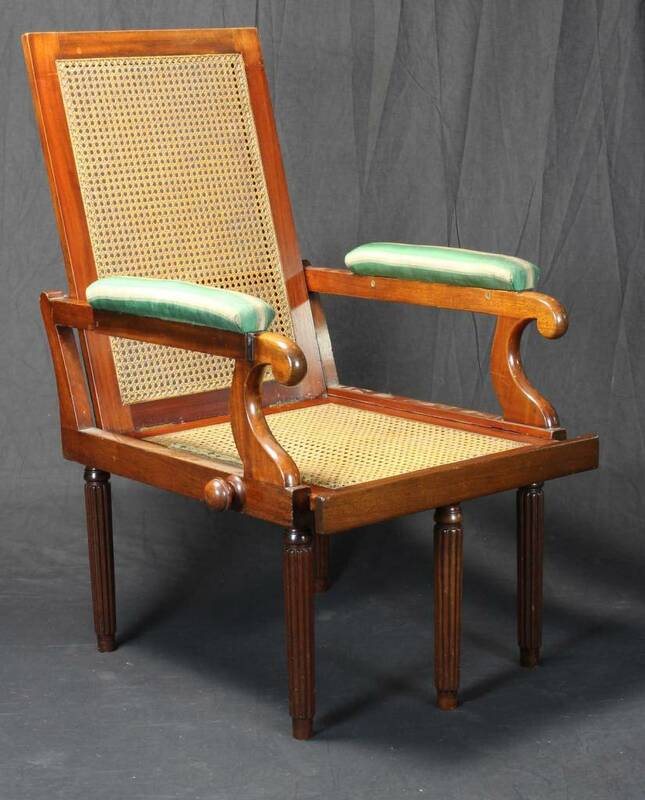 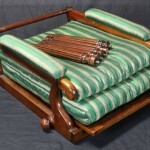 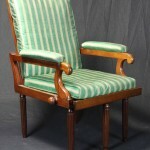 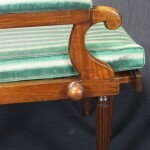 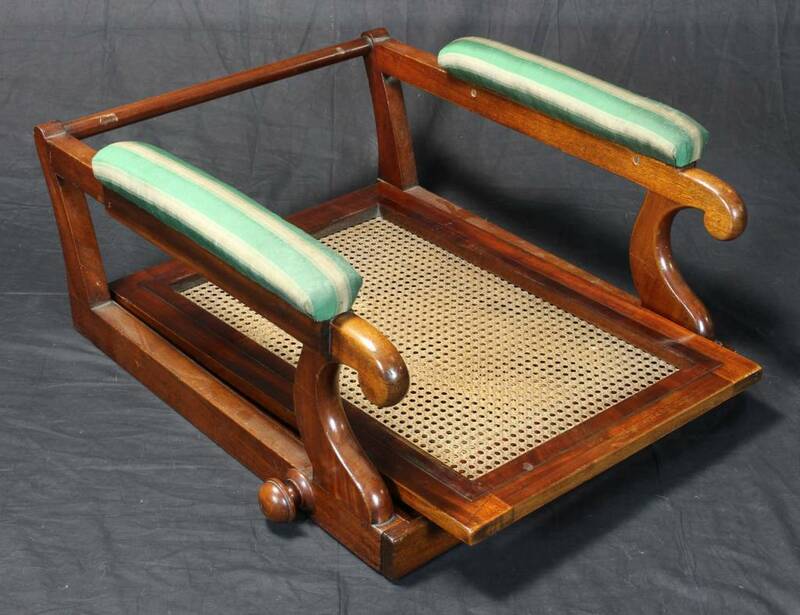 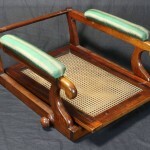 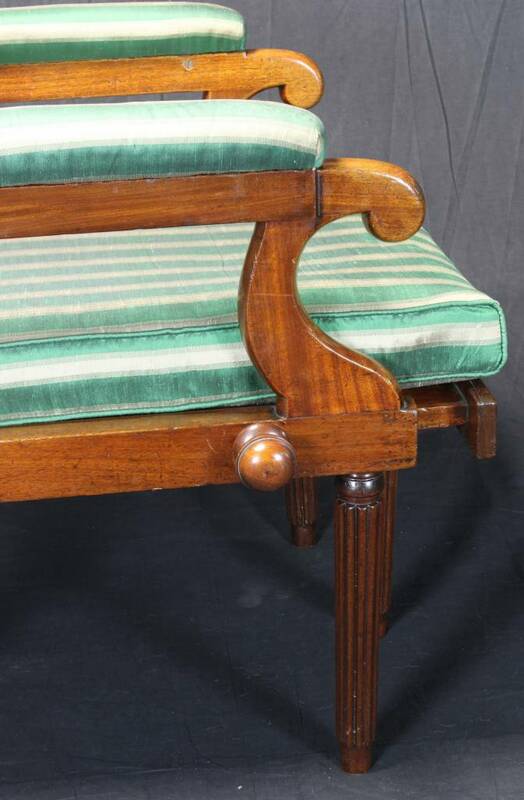 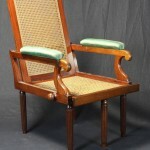 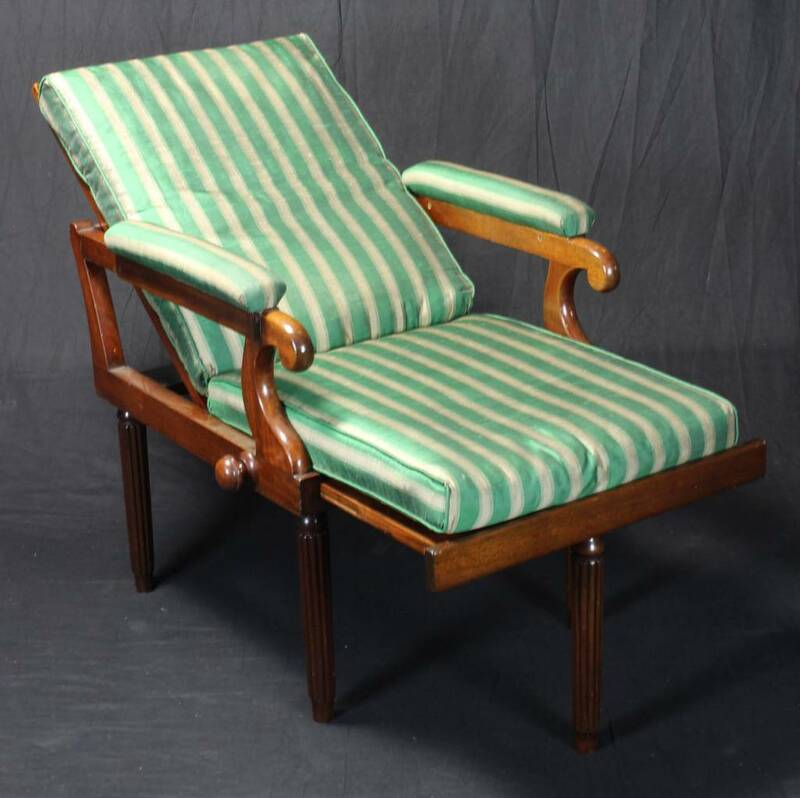 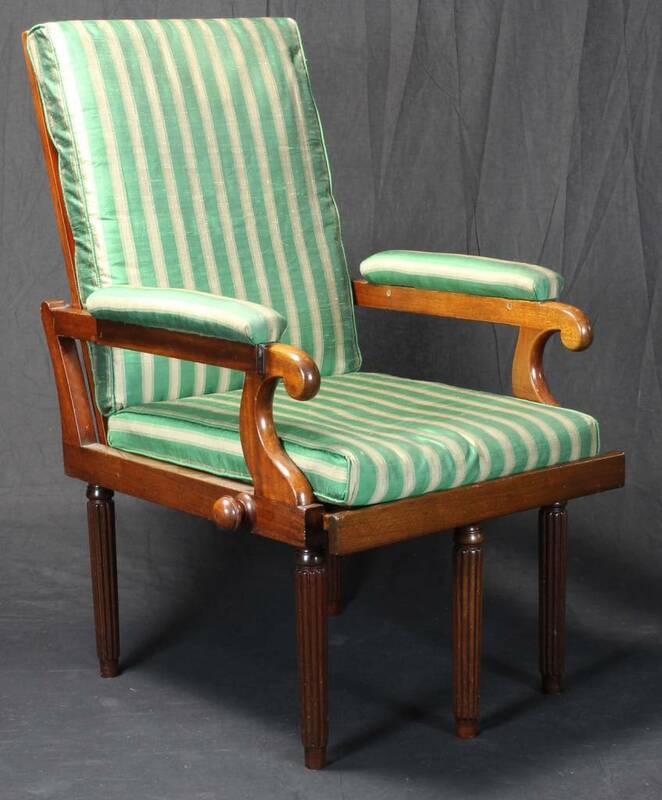 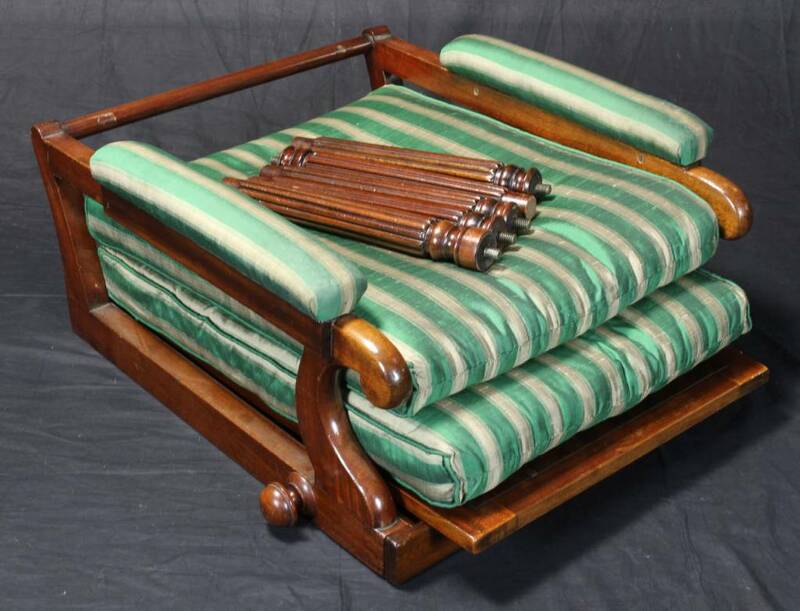 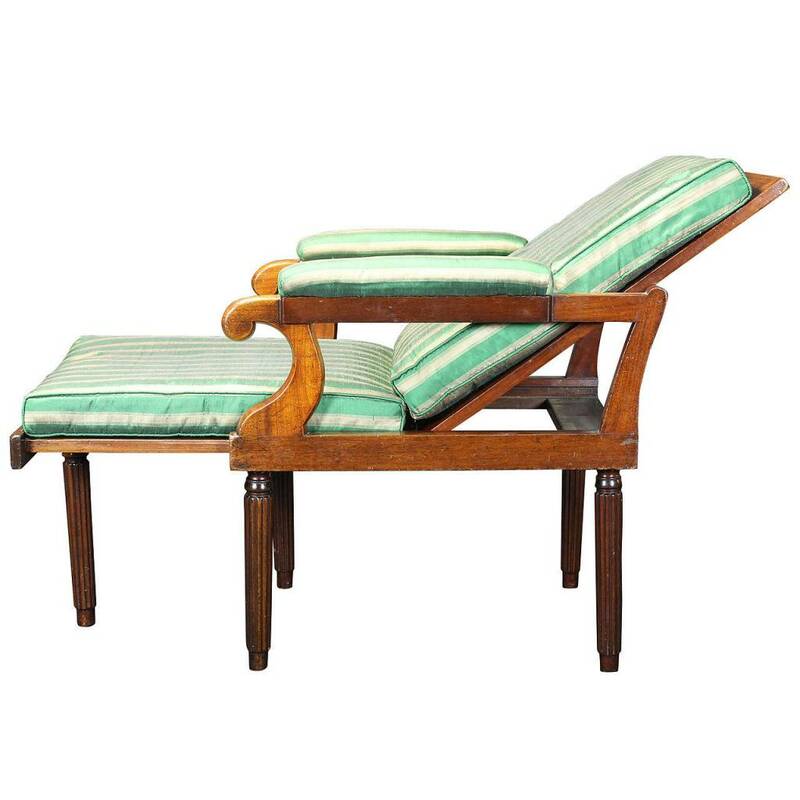 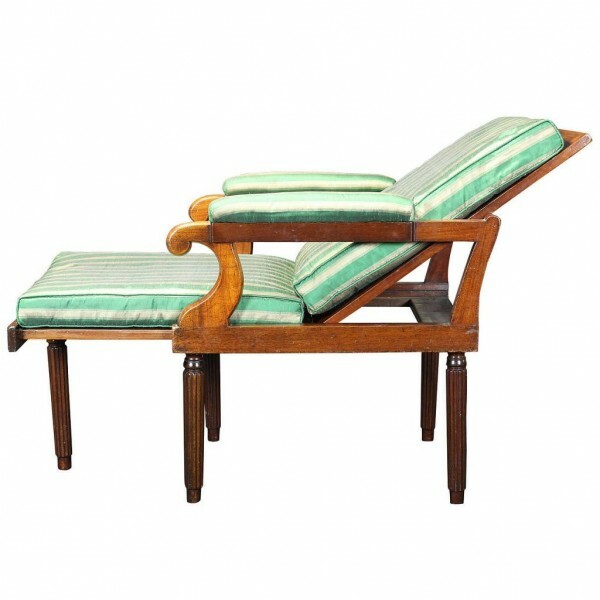 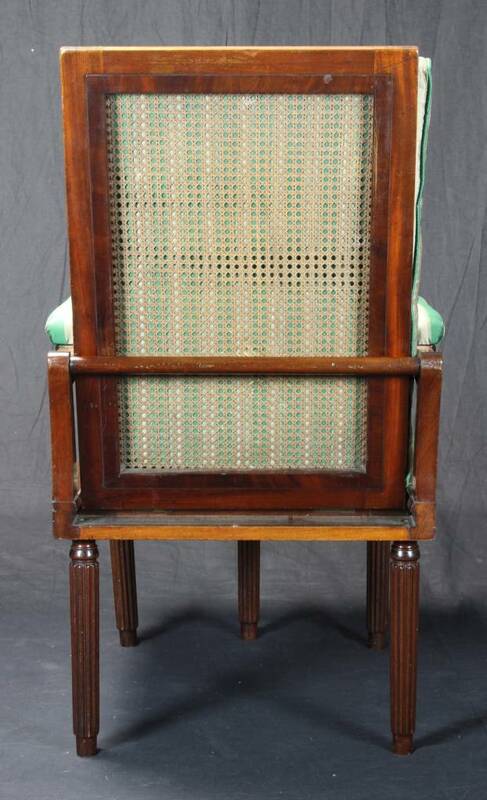 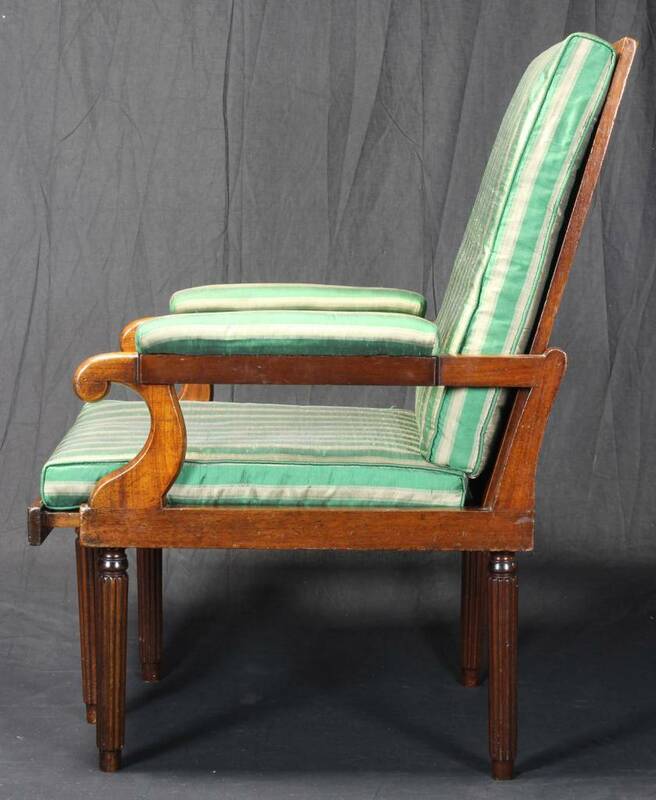 An early 19th century English mahogany Campaign library chair or chaise with caned seat and back and removable cushions. 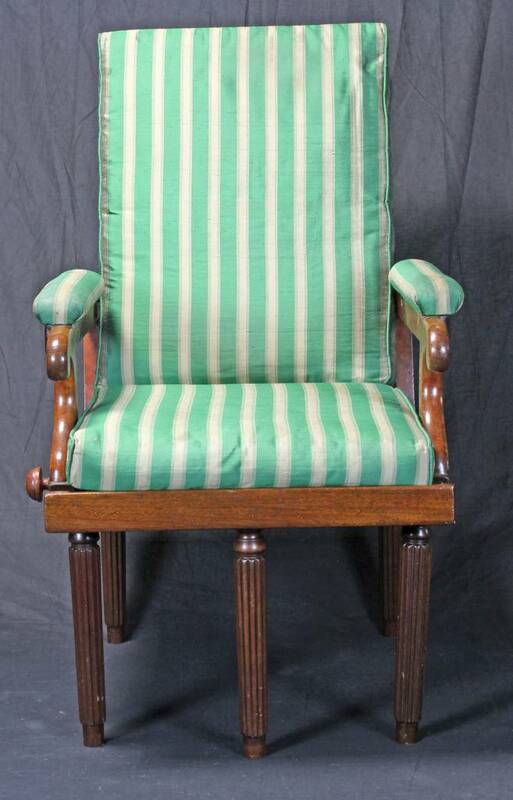 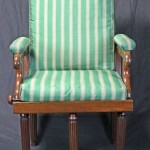 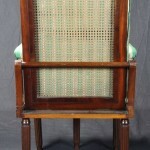 The chair remains in one when folded with the hinged back and arms falling forward against the seat. 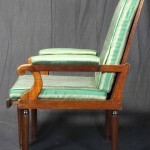 This is a very efficient design allowing the chair to be quickly assembled or folded.